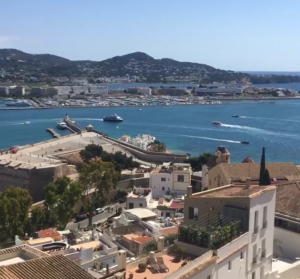 Towards the end of May we took a group of journalists to Ryans La Marina, Ibiza to experience the contemporary, design hotel in the heart of Ibiza Old Town. The trip was attended by journalists from well-known titles such as Wonderland and House of Coco. 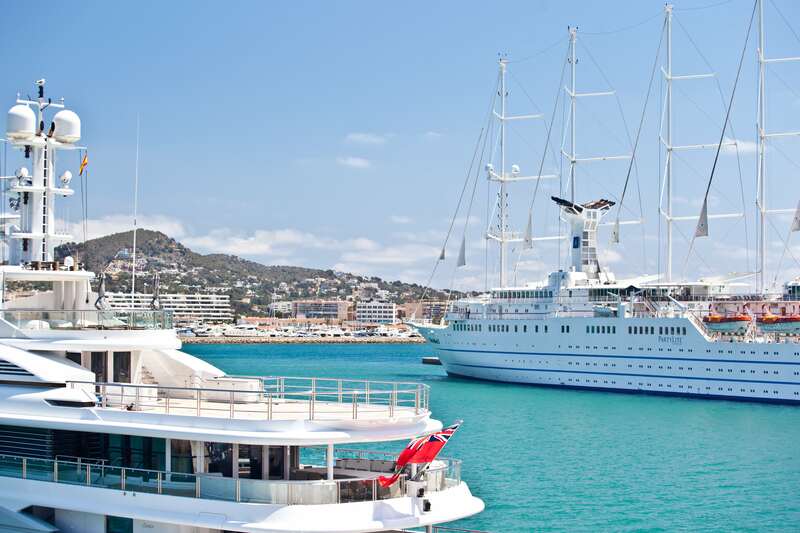 Nestled between the UNESCO world heritage site Dalt Vila and the port of Ibiza, Ryans La Marina’s location provides its young guests with the perfect opportunity to discover both Ibiza’s rich culture and its infamous nightlife. The boutique-style hotel’s 49 design-centred rooms are sleek and contemporary, with a blue and white palette mirroring their stunning views of the sea. The trip began with dinner at La Dispensa in Ibiza Old Town, a restaurant with an eclectic international menu of Spanish and Japanese influence, and a matching eclectic interior. The following morning breakfast was served at the hotel, before a relaxing morning enjoying the sun. We then ventured out for a waterside stroll along Marina Botafoch, where we walked between chic shops and spectacular yachts and then used Ibiza Delivers Water Taxi service to travel to Beso Beach Fomentera for a light lunch. The Spanish cuisine was served against an incredible backdrop of the Mediterranean, with the sea breeze and white design creating a relaxing lunch setting. 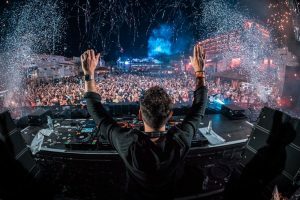 Using the same speedy taxi service, we journeyed to ANTS Pre-Season warm up at Ushuaia Ibiza with a line up that included Housekeeping, Groove Armada and Steve Lawler. The amazing stage show, lights and dancers made the night an unforgettable experience. 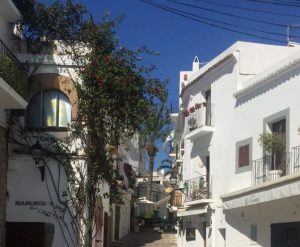 The following mo rning we strolled through the cobbled streets of Ibiza Old Town to Croissant Show for breakfast, renowned for their infamous croissants. 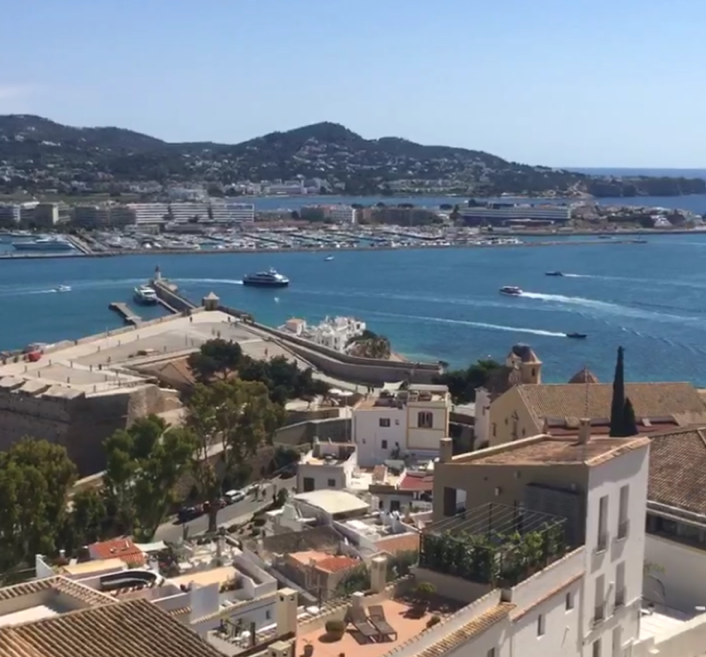 We then climbed the steep hill to Ibiza cathedral to take in the scenic views before returning to the hotel, leaving for the airport and flying home.